ASK provide independent psycho-educational assessment services with well known and highly qualified educational psychologists and specialists in their specific fields. Our goal is to provide a quality assessment to children and save time and travel expenses for the parents and most importantly to afford the children to be assessed in his or her home ground avoiding the stress of traveling abroad for assessment. A comprehensive assessment can play a vital role in diagnosing learning, movement, attention and behavioural problems, and can assist with developing action plans to address those problems, and monitoring progress. A thorough assessment will involve gathering information from the parents, teachers and health professionals, and will typically include a full review of the child’s background, formal testing using standardised tests, where appropriate, and observation. It will also include, where appropriate, the views of the child. The report can help to guide a plan of action at home and at school or at times of transition planning when a move from one school to another may be considered. The assessment should be an encouraging process seeking out strengths and planning for the future. Some of the time will be spent gathering information from the parent and this is usually done without the child present, so that the parent can freely talk about any concerns they may have. It is useful to have a second parent or carer there while this is happening so your child is not left alone. Bring along a game to play or a book to occupy the child so they are not bored while this is happening. This may take up a quarter of the assessment time. Preparing your child can reduce anxiety and encourage cooperation. The assessment is not an admission of the child’s failure. It is a positive act, aimed at ensuring that all their hard work and attempts to do well can be turned into even better results. Explain what the assessment will involve- discussion with the parents, testing the child and then some guidance and advice to the parents. Make sure that the identification of the child’s strengths is emphasised. Try to schedule any assessment during the time of day when your child functions best. If things get tough, acknowledge that your child is doing their best and that you are proud of them. Look always to encourage your child. You and the ASK group have selflessly created a wonderful and very essential community service for families throughout Switzerland. You have made our path from diagnosis to ongoing support for our daughter that much less daunting and we thank-you for that. I have 3 children, all with special educational needs (dyslexia and dyspraxia). Thanks to ASK, I was able to have all my children assessed in English, by an eminent expert in Special Needs education without having to return to the UK or go to the US. The support ASK offers to parents like me is priceless. This organization has the potential to make an enormous difference to a child’s life at school, to their future and to the whole family’s life in Geneva. Finding ASK, attending the lectures and knowing that there is very specialized training available for teachers, parents and other health professionals has been a turning point in our children’s education and I know I am not alone when I say this. Thank you ASK. No single definitive test exists to diagnose a learning difficulty or difference with 100% accuracy. A diagnosis results from the convergence of many tests and may require other health professionals to be involved to gain a full picture of your child’s strengths and difficulties. Often, observations of a child’s behaviour and social skills assist the identification process. Some children, however, have multiple problems which may make it harder to make a definitive diagnosis. Assessments involve the prior gathering of background information, including the completion of parent questionnaire and if necessary, teacher’s input will also be requested. See each assessor’s individual requirements. Fees for the independent assessments are set by and paid to the individual assessors. A deposit of CHF200 is required for registration. The full payment must be received prior to assessment appointment. Dr. Gilda Palti is a Chartered Child and Educational Psychologist who specialises in assessments of individuals of all ages for a range of learning difficulties, such as dyslexia, dysgraphia, dyscalculia, ASD, ADHD. She is registered as a member of the British Health and Care Professions Council (HCPC); an Associate Fellow of the British Psychological Society (AFBPS); a Member of the Division of Child and Educational Psychology of the British Psychological Society, and holds a Certificate for Family and Child Therapy. Her BA (with distinction) and MA degrees are in Psychology, concentrating on resilient children. Gilda completed the Doctor of Education Degree at the University of Bristol, UK in 1988. Her research focused on the social and emotional aspects of dyslexia. Her practical work includes individual therapy, consultancy and psycho-educational assessments in the UK, various European countries, the Middle East and the Far East. She worked as a Locum Psychologist at the Child and Adolescent Services (NHS Trust UK). Gilda provides assessments and consultancy services to the Helen Arkell Centre, one of the leading centres for specific learning difficulties in the UK. Gilda was also a member of the Professional Advisory Board of Ginger Software, a contextual spell and grammar checker designed specifically for dyslexic individuals. She is trained in the application of a computerized ADHD evaluation. “Personality and Social Portrait of the Invulnerable Child”. Journal of Research in Personality, Volume 27, Issues 3, pp. 207-221 (1993). Palti G. (2001): “Social and Emotional Aspects of Dyslexia” The Dyslexia Handbook 2002. Palti G. (2002): “Reviews on socio-emotive aspects of Dyslexia” Perspective Journal of Orton Society – The International Dyslexia Association. Palti G. (2003): “Dyslexia in Adults and Career Opportunities”. Perspective Journal of Orton Society – The International Dyslexia Association. Palti G. (2010): “Specific Learning Difficulties and Mental Health” The Dyslexia Handbook 2010 and The Australian Dyslexia Learning Difference Handbook 2014. Other publications on website: www.spld-matters.com. Ιoli Soroula is an educational psychologist, specialised in the diagnosis and remediation of learning disorders, who has been supporting children and their families for more than fourteen years. She is chartered by the Health and Care Professions Council in the United Kingdom (HCPC) and registered with the British Psychological Society (BPS) as well as the Association of Greek Psychologists (ΣΕΨ). She holds a Bachelor’s in Psychology and a Master’s in Applied Educational Psychology from Columbia University, New York. development of intervention programmes for the students assessed. Being an expert in conducting psychoeducational evaluations of school-aged children (detailed assessments of their cognitive and academic skills), Ioli helps them gain insight as to whether they have a learning difficulty (e.g. dyslexia, dysgraphia, dyscalculia) or other weaknesses in areas of cognitive development (e.g. verbal reasoning, working memory, visuo-spatial processing) which could be affecting their school work. She also administers to them screening measures of emotional functioning when their history indicates the presence of behavioural or emotional problems (e.g. anxiety, low self-esteem, aggressiveness) or other mental health issues (e.g. attention deficit/hyperactivity disorder, autistic spectrum disorder) that could be affecting negatively the quality of their school life. On the basis of the assessment results, she then designs individualised remediation programmes fine-tuned to the children’s needs, helping them to make use of their strengths, develop their skills, built their confidence and grow. She also offers advice regarding the special accommodations to which they might be entitled. Throughout her career, Ioli has been working in the private as well as in the public sector across different countries and in a variety of settings. Among other educational institutions, she has collaborated with the Educational Psychology Service of Reading Borough Council (United Kingdom), the Moraitis School (Greece) and the International School of Geneva – Campus des Nations (Switzerland). Her international professional experience has equipped her with an understanding of dealing with children who come from a wide range of linguistic and cultural backgrounds. Ioli is based in Geneva and will assess children at ASK offices by appointment only. Please contact ASK at info@allspecialkids.org or call 022 788 2102 if you wish to schedule an assessment for your child. 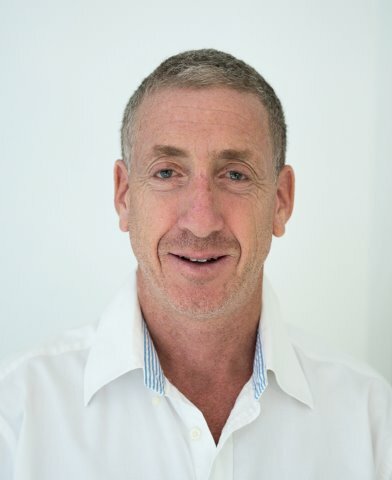 Dr. Gavin Reid has been the ASK Psychologist since 2006 and is an international consultant and psychologist with consultancies in Canada, UK, Europe, Middle East, Asia and Australasia. He was visiting professor at the University of British Columbia in Vancouver, Canada in the Department of Education and Counseling Psychology and Special Education in 2007 and 2010. He is an ambassador for the Helen Arkell Dyslexia Centre in the UK and is also a consultant for the Child Enrichment Medical Centre in Dubai, the Centre for Child Evaluation and Teaching (CCET) in Kuwait and for the Institute of Child Education and Psychology Europe (ICEPE). He is also currently a consultant to the Open University in the UK and co-founder and director of the Red Rose School for children with specific learning difficulties in St. Annes on Sea, Lancashire, UK. He is a visiting educational psychologist to organizations and schools in Switzerland, the UK, Middle East, Asia and Egypt. He was formerly senior lecturer in the Department of Educational Studies (formally dept. of Special Education), Moray House School of Education, University of Edinburgh from 1991-2007. He has written twenty eight books on learning, motivation and dyslexia and lectured to thousands of professionals and parents in 75 countries. He has also had books published in Polish, Italian, Arabic, Hebrew, French, Chinese and Slovak. He is an experienced teacher with over 10 year experience in the classroom and has held external examiner appointments at 18 universities worldwide for Ph.D and masters courses. Dr Steve Chinn taught for 40 years, mainstream and special education. He was the first Head of Shapwick School, a specialist school for dyslexics before he took on the challenge of achieving accreditation for Chautauqua Academy in Baltimore, USA. After one year as visiting Head of Chautauqua and taking it to accreditation by the State, he returned to the UK and founded Mark College, a secondary school for dyslexic boys. Mark College was the only specialist dyslexia school to be awarded Beacon School status by the Government. The College was also recognised with a Highly Effective School certificate from the Government, the Award for Excellence from the Independent Schools Association, a National Training Award and the Sportsmark (with distinction). Half of the staff had their work on dyslexia published. During the past twenty five years Steve has researched and published work on maths and dyslexia and on dyscalculia, including the award winning book ‘The Trouble with Maths’. He was a co-founder and then Chair of the Council for the Registration of Schools for Teaching Dyslexics (CReSTeD), Chair of the 3rd BDA International Conference, a member of the Government committee on partnerships between independent and State schools and an expert advisor for a major AchieveAbility project. Steve designed the first AMBDA (Numeracy) course. He has lectured in over thirty countries across the world. Current projects include a second edition of ‘The Trouble with Maths’, a third edition of ‘Dealing with Dyscalculia. Sum Hope’ a new book for Routledge on the assessment and diagnosis of maths learning difficulties and dyscalculia which will include a number of standardised tests. Steve received the Lady Radnor Award for services to dyslexia at the Dyslexia Action’s Annual Dinner in November 2010. Shai is renowned in the field of child development, and is an accurate diagnostician with powerful intuition. A veteran consultant, he appeared regularly on a panel of child experts in an Israeli morning TV programme. Over his 25 year-career, Shai has diagnosed and successfully treated hundreds of children with special needs and their families. He founded and directs the First Step College, which trains hundreds of infant development therapists. UK, Eire and UAE Trainer for The Listening Program®, UK representative for the Learning Breakthrough Program®, Brain Gym® Instructor, Cert. NLP. Alan is a Director and Founder of Learning Solutions, an organisation based in Yorkshire, UK, that since 1996 has been dedicated to helping children maximise their learning potential. He is an accredited Brain Gym® Instructor, NLP Practitioner, UK and Eire trainer for The Listening Program® and UK contact for the Learning Breakthrough Program®. Alan has presented at major Educational Conferences in the UK for many years and is known as a lively and inspiring speaker. His work brings together the underlying sensory problems inherent in many labels such as Dyslexia, Dyspraxia, ADHD, Autism and other areas of learning, speech and developmental delay. He works extensively in schools in the UK and internationally, training teachers, Speech and Language Therapists, Occupational Therapists, Audiologists and others in The Listening Program, Brain Gym, Accelerated Learning and Auditory and Sensory Processing. He is a dedicated speaker for NASEN (National Association for Special Educational Needs). He has trained teachers and presented at conferences in many Countries including Dubai, Kuwait, Qatar, Iran, Egypt, Malta, Cyprus, Bulgaria, Holland, Switzerland and the USA. Alan runs a private consultancy for children combining assessment and remediation programmes using sound stimulation and movement work and is the author of ‘Beating Dyslexia A Natural Way’ published in 1997. Professor Kirby has a chair in developmental disorders in education at the University of Wales, Newport. She founded and has run the Dyscovery Centre since 1997, an interdisciplinary centre providing assessment and intervention for children and adults with a range of developmental disorders including Dyspraxia (also known as DCD), ADHD, Dyslexia, Specific Language Impairment, Autism Spectrum Disorders and Behavioural issues. Her background as a GP and also working in community paediatrics and psychiatry has provided a good understanding of developmental disorders in both child and adulthood. She is also the parent of an adult with developmental disorders so has personal as well as professional experience of living with the difficulties.She leads a research team at the centre and her PhD has focused on the stage of emerging adulthood in DCD. She has lectured internationally and spoken to over 30,000 teachers, health professionals and parents. She is currently patron of the Dyspraxia Association in New Zealand, Advisor to the Dyspraxia Association in Ireland and Medical Advisor to the Dyspraxia Foundation in the UK. Dr Guise is founder and Director of Dysguise Ltd, a company based in Edinburgh that specializes in the assessment of learning difficulties across the age range. Dr. Guise has 30 years of experience working with children, young people and adults and is highly qualified in the areas of psychology, education and business. She is a Chartered Psychologist, Associate Fellow of the British Psychological Society, a Chartered Scientist and Member of Health and Care Professionals Council. Dr. Guise is an Associate Member of the British Dyslexia Association (AMBDA) and Member of the Professional Association of Teachers of Students with Specific Learning Difficulties (PATOSS). She has a PATOSS Specific Learning Difficulties Assessment Practising Certificate. She has a European Certificate in Psychology. Dr. Guise is a Chartered Manager and Member of the Chartered Institute of Managers. She is also a registered CogMed Coach. Dr. Sionah Lannen is a registered chartered educational psychologist with the Health Professionals Council in the UK. She is co-founder and Head Teacher of the Red Rose School for children and young people with specific learning difficulties in St Annes on Sea, Lancashire. She is currently involved in a European-wide initiative to develop Specific Learning Difficulties Teacher Training. She has been an educational psychologist in the UK, Canada and the Middle East.